A British museum curator has built a working replica of a 2,000-year-old Greek machine that has been called the world's first computer, according to the WIRED, GADGETS LAB. 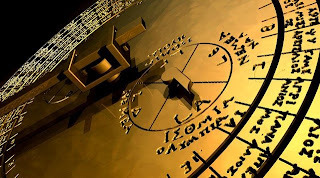 37 interlocking dials crafted with the precision and complexity of a 19th-century Swiss clock, the Antikythera mechanism for modeling and predicting the movements of the heavenly bodies as well as the dates and locations of upcoming Olympic games. That is how it looked. Scientists date the original 81 shards of the Antikythera to 150 B.C. For the decades the purpose of it was a mystery. Since the 1950s scientists worked together the story, but not alone as they got help of sophisticated imaging technology in recent years. Michael Wright, who is a former curator at the Science Museum in London, has built a replica of the Antikythera, which works perfectly. On a faceplace there are featured Greek zodiac and an Egyptian calendar; as for the pointers, they showed the location of the moon and the five planets known at the time. On the back, an upper dial shows a 19-year calendar (matching the solunar cycle) and the timing of upcoming Olympic Games. As for a lower dial, it shows a 76-year cycle and indicates when lunar and solar eclipses can be expected in which months.